It doesn’t matter what your industry is. In the digital age you need a website with an array of different pages. These will act like a window to the rest of the world. On these pages you can list all your products and services; the aim is to entice potential customers and turn them into loyal consumers. The most effective way of doing this is by using SEO ( Search Engine Optimization ) and SEM ( Search Engine Marketing ). Through the use of proper SEO / SEM strategy your business can reach the top of the search results. This is not an easy task! Google and other minor engines love to change the rules. That's where SEO and SEM tools come in. 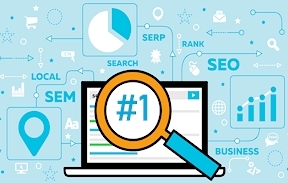 To have most of the customer’s attention and to get into trusted organic search placements above the paid results you need to have advanced SEO strategy. To maintain proper SEO strategy you will need to build your semantical core, research your competitors on the level of their content and link building strategies in order to develop competitive content and successful link building campaigns. For ongoing monitoring of your site’s organic performance search engine ranking positions should be constantly checked. Website crawling is also important to find out the best ways for onsite optimization. To succeed in all the routine tasks mentioned above the usage of SEO tools is a must. 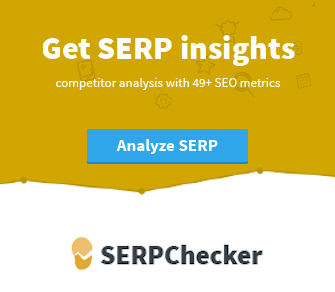 You’ve probably already heard about SEM but know it as PPC. The procedure is very simple. You choose some keywords and then list your ads under them in search engine results. Every time a user types in the keyword your result will appear within the sponsored entries. If the user clicks on it they will be sent to view your content; you will need to pay for the privilege of someone clicking on your link. This is not the same as SEO marketing. The aim of your SEM tools is to monitor the searches being conducted and direct your ads accordingly. This will help to ensure you have high visibility every time someone searches on a word relevant to your services and products. This is one of the best ways to get your business noticed when you are starting out or building your customer base. The SEM tools help to ensure your ads and money are targeted correctly. The right SEO tool for your business is not necessarily the same as the one for another business in your industry. A successful SEO tool or SEM tool is one that you can see improving your visitor numbers. It may involve trial and area while you test the various SEO keyword tools and SEM marketing opportunities. Once you have selected tools you need to monitor them to ensure they are producing the right results and they are improving your SEO keyword effectiveness. In short, your SEO tools should not only tell you what needs to be changed to improve your site; they should give you the means to make these changes. We’ve tested a range of self-service keyword tools designed to help you achieve the right results. All of them are offered for a similar price. The monthly charge is between $50 and $100 although you can get a discount if you opt for annual billing. You’ll need to consider which SEO tools are going to work best for your business; cost is not always the deciding factor. For instance the cheapest self-service tool was KWFinder by Mangools. It’s good but only effective if you are interested in random keyword searching and Google SERP queries. In contrast Moz and Ahrefs will charge you according to the number of websites you attempting to track. The majority of these SEO tools will only provide a set number of keyword reports. This allows you to monitor within reason. The one tool that appears to be different is SpyFu which has no issue with how much data you use or reports you run. However, it does limit the number of sales leads you can generate. To ensure a fair test it was necessary that we chose the same keywords for each tool. Keeping all the tests identical provided us with comparable results and allowed each SEO tool to be fully assessed. The results were studied for the way in which each tool dealt with the keywords, the results it provided and, of course, how good it was at making suggestions to improve keyword searching. The best platforms should offer all of this in one SEO tool. This means they will show recommendations and even the alignment of your landing page. They also allow you to expand your keyword and provide access to an array of addition tools to make your SEO marketing more effective. However, these firs will only operate via custom quotes. It’s impossible to know what you may be asked to pay without getting a quote. In order to choose the right SEO tools for your needs you should look at which platforms give the most extras included in their price. This represents the best value for money. The first stage should always be to target keyword optimization and ensure you list highly with SERP. Ideally you should also get an array of suggestions to help you make the most of your tool and the opportunities that arise. A good report structure will allow you to see how each keyword is ranking and what you can do to improve this. You’ll then need to make sure you monitor the ranking position to ensure it remains high. If it starts to drop then your SEO tool should make an alternative suggestion. It could be because the market has changed or the search engine parameters have changed (again). A good tool will ensure you have the resources you need to move up the rankings without having to spend thousands. It is also important to consider which SEO keyword tools will allow you to merge your different SEO campaigns. It is far simpler to monitor all of your current campaigns in one place than to try looking at 5 different screens. Ideally the reports should advise you on keyword placement and ranking, then SERP and then provide you with a range of options to make your life easier and your SEO more effective. The very best tools will then feed the information into your marketing strategy allowing you to almost effortlessly update and redirect it. You can see all the tools we’ve tested in these reviews and assess for yourself whether they are the ones you should be using. We looked at whether they would help you to drive growth while being easy to use and affordable to a small or medium business. Take a look to see which SEO tool is going to be the right one for your needs. There is no doubt that marketing and SEO / SEM campaigns are time consuming. One mistake can cost your business a lot of money in lost revenue. This is why so many companies use SEM tools to manage SEM campaigns. SEM tools can help you to reduce the amount of time you spend monitoring your marketing efforts. You can even get SEM tools that will help agencies monitor multiple clients; although not all work this way. You’ll notice that you spend a lot of time researching keywords. PPC software can eliminate this issue. It will simply give you the keywords you should be using and allow you to select the ones you want to follow up on. You can also use the PPC software to monitor more than one SEM campaign; making your job easier and allowing you to focus on results. Perhaps most impressive is the fact that the PPC software takes care of your ads across a range of social media channels while monitoring and improving the performance of all your ads. Multi-account management: SEM software that actually allows you to monitor multiple campaigns under multiple accounts. Ideally your software should also allow you to monitor different ads for different clients. Even if you are running the software for your own business you may end up splitting the campaigns and need to monitor all of them at the same time. The best software allows you to manage different channels like Google, Bing, Facebook etc. at the same time. It is a good idea to use A/B testing. This will help you to see which of your ads/keywords/campaigns perform the best and which needs to be changed. Your software must offer guidance on the keywords you should be choosing and allow you to schedule ads for in the future. Reports are important but it is a good idea to be able to create your own custom report. This will help you to see the information you really need. Ads optimization will help you to find out which ads are the most successful with the potential customers. Bid optimization tools will allow you to adjust bids in the right moment in order to keep the right level of performance. Finally you need to see how well your ads are doing on the different channels and, if necessary, tweak individual channels to get the right results. All you need to do is identify which of these features are most important to you and then choose the software tool that gives you those features.